"A girl's gotta do what a girl's gotta do!" 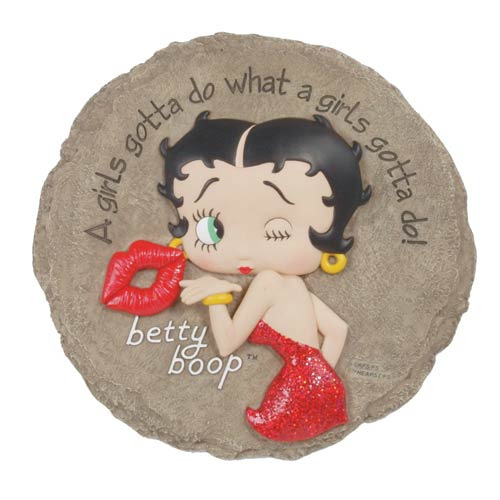 That's what it says on this Betty Boop Girl's Gotta Do Stepping Stone featuring the ever-popular boop-oop-a-doop girl. Guess you gotta order one, huh? Measures 9 1/2-inches long x 9 1/2 wide x 1/2-inch thick, and weighs 2 3/4-pounds.